January 31, 2019 by Laurie Leave a Comment This post may contain affiliate links, which means if you click on a link and purchase something, I may earn a small commission (at no additional cost to you.) See my disclosure policy HERE. 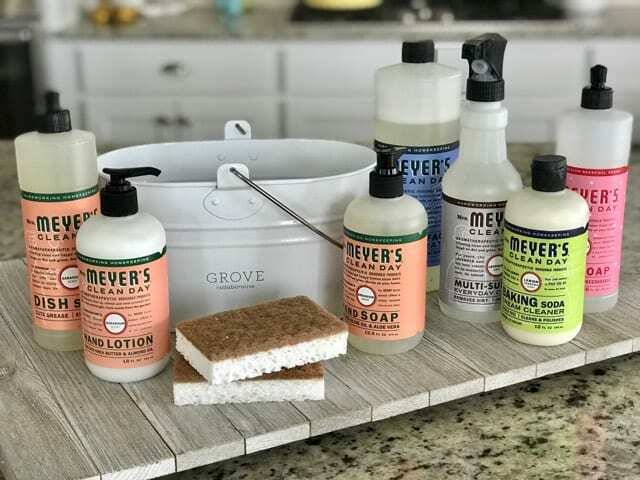 Free Mrs. Meyers Gift Set is BACK!! UPDATE: This is the LAST DAY you can snag this fantastic gift!! I'm so excited to share this with you! If you missed my FB Live you can watch it here. 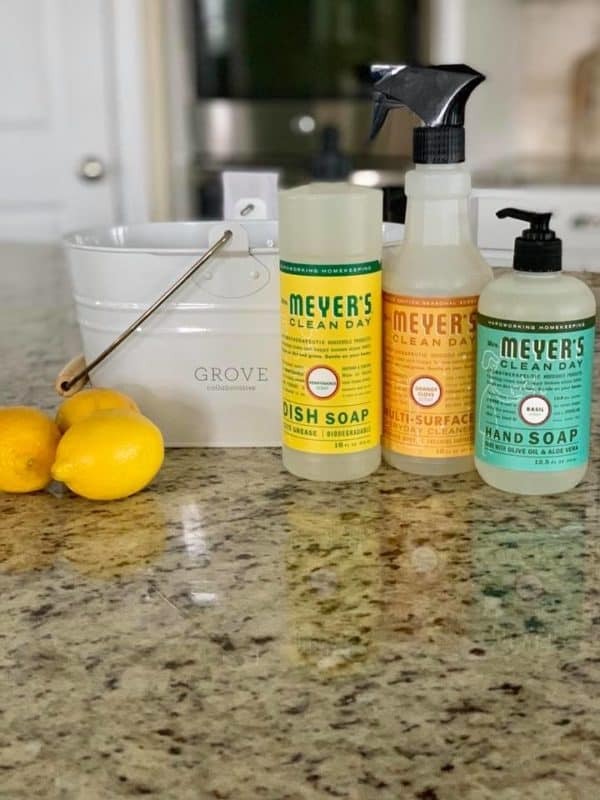 Last year I scored a deal on Mrs. Meyer's hand soap and absolutely fell in love, then tried Mrs. Meyer's Dish Soap next and I was hooked. Right now my fave is the Cream Cleanser ~ it's amazing! 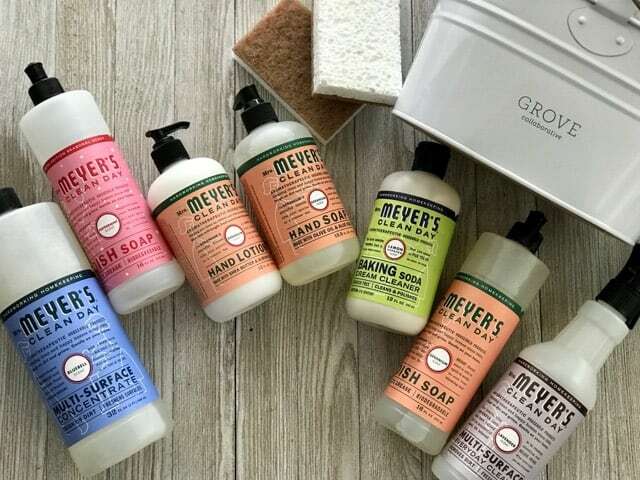 So I'm thrilled that you get to try out a few Mrs. Meyer's Product for FREE! 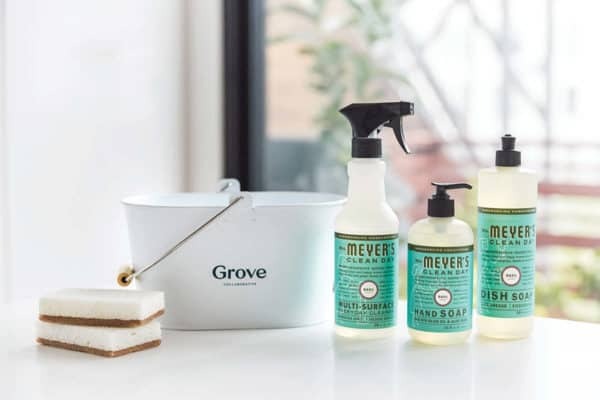 Right now at Grove Collaborative, when you place your first order of $20 you’ll receive a free Mrs. Meyer’s trio + caddy + walnut scrubber sponges to help you kick off the New Year strong. Bonus tip: If you spend $39, you’ll get a beautiful stoneware tray for free! It’s perfect for corralling dish soap and a sponge to keep your countertops tidy. *** If you’re an existing customer, you’ll get a free set of Grove walnut scrubber sponges! Here's Step-By-Step how to get yours! 3 . Finalize your basket. Add or Remove items. Browse your favorite brands to create a box you'll adore! That makes each item just $2.04, SHIPPED TO YOUR DOOR, compared to $4-$7 per item at Target or Amazon. TIP: Keep an eye out for items already marked down up to 50% OFF! They have Burt's Bees products, Alba Botanicals and tons of other skincare lines as well. And even without the free gift guys ~ these prices are about the same as what we normally see on Amazon. 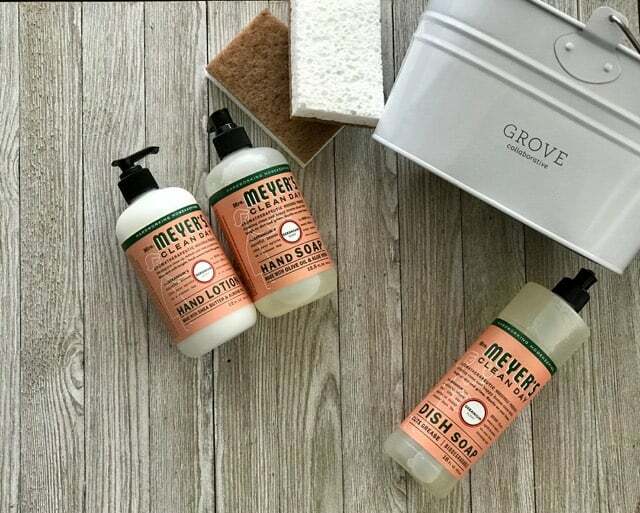 Although Grove is a monthly subscription program, you can cancel at anytime, and you can change your delivery schedule if you'd prefer to receive it every few months. You'll receive an email 7 days before your next box ships reminding you about it and asking you if you're still happy about what's coming your way. 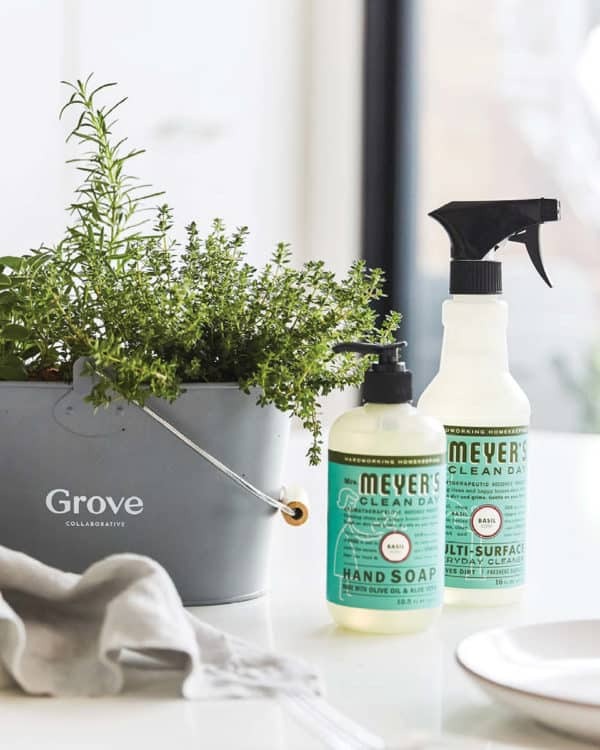 I think of Grove Collaborative as being similar to Amazon Prime – but for earth-friendly, natural products. 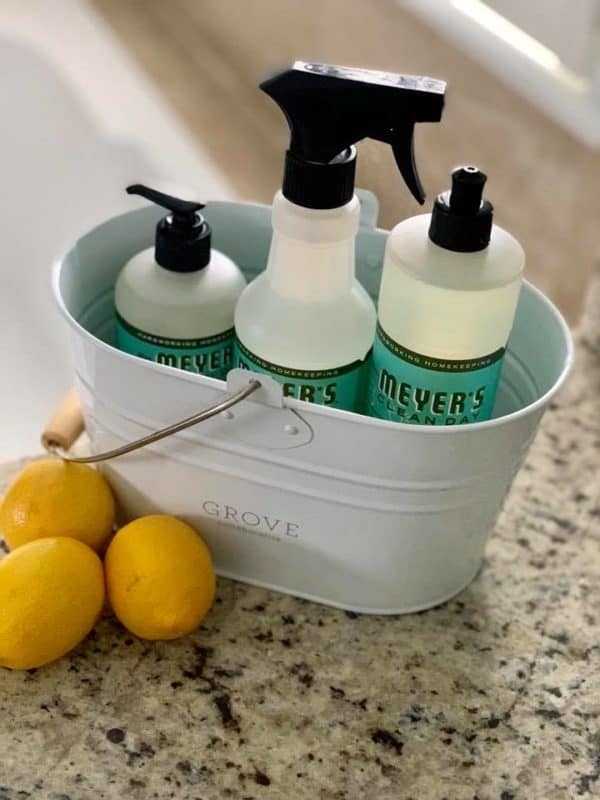 So if you go through a lot of these products on a regular basis, it's something to consider because it easily gets you the very best price on all natural cleaners, cosmetics, paper products and more. Hurry – this offer is ONLY good this week – get yours here!